The new year brings with it an opportunity to reinvent ourselves. This is why many people so often are looking for ways to change their lives, try new things, or even embrace parts of themselves that they haven’t before. However, being able to try new things doesn’t mean you have to restrict yourself to things you do in public. For many, embracing new aspects of your life in the bedroom can be a great way to start off your new year, new you strategy. And, when looking for new ways to improve your bedroom activities in 2019, you don’t have to look any further than your Zodiac sign. Aries are always willing to try new things and go headfirst into new lifestyle choices. This is why we recommend that those who fall under this birth sign begin experimenting more with an assertion in the bed. Being able to get things going with a concrete action is one way to put a jolt in your actions, something that can heighten the intimacy of a situation. Those who have this Zodiac sign are known for wanting to take control of situations and direct the play. This is why we recommend that Taurus individuals take the new year to go directly into whichever fantasies they want to try. Not many people want to be the instigator for a new scene, but doing just that is all a part of the Taurus spirit. Geminis are often embraced for their clarity of thought, being able to think through situations clearly and with ease. In the new year, it might be worth thinking about using this sense of clarity to improve your life in the bedroom by communicating clearly what you want to your partner. Cancers can have trouble embracing the new. This is why many Cancers are so focused on routine, often falling into the same bedroom scenarios and situations. Though you shouldn’t ignore the comfort of you or your partner, maybe it’s time to push yourselves and try something new! Taking things too seriously is one of the biggest traits that Leos might have trouble with. This is just as problematic in the bedroom, as one of the most enjoyable parts about such activities can be letting loose with someone you love! Give yourself some time to laugh and smile when in the bedroom this year. The best luck always seems to happen to the Virgos. 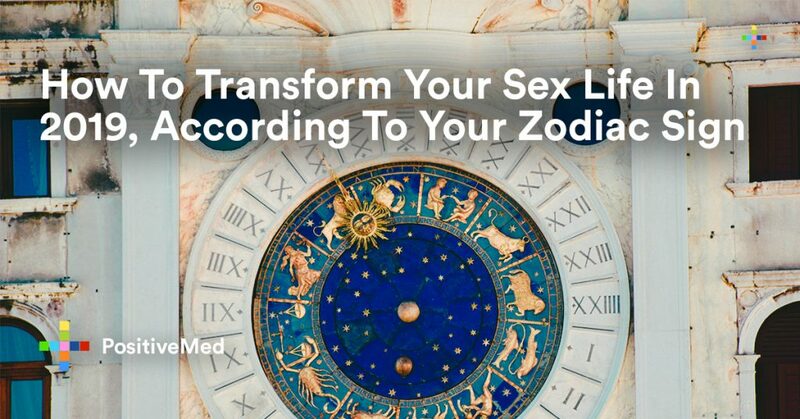 This is because your Zodiac sign attracts great fortune, meaning that the chances of you going to the bedroom with someone else this year are pretty big. Prepare yourself for a year of fun! Being a Libra means being comfortable with being in control. However, one of the most exciting things about having a varied life in the bedroom is trying new things that somebody you love wants to do. So, take this year to listen and try new things! Scorpios can sometimes be lacking in the communication department. In 2019, try and communicate effectively with your partners for a more transparent type of intimacy! If you’re a Sagittarius, you should always be following the moon. Make sure to take note of when there are blue moons this year, as they will inspire you to try new things in the bedroom! Being a little bit naughty can be liberating—let yourself lose this year and embrace what you wouldn’t normally do! It’s easy to focus on the negatives of life if you’re an Aquarius. This year, try and focus on more positives to increase your overall energy in the bedroom! Being able to embrace your body and figure can be difficult sometimes if you’re a Pisces. Try throwing this to the side in 2019 and acknowledging the fact that everybody is beautiful, both inside and out!